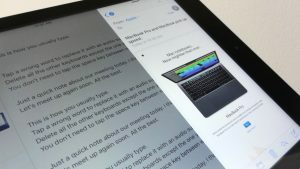 The iPad will be adding a bunch of eye-popping tricks—ranging from drag-and-drop between apps to an improved, symbol-friendly keyboard—once iOS 11 arrives this fall. That said, the current version of iOS is no slouch when it comes to nifty only-on-iPad features. 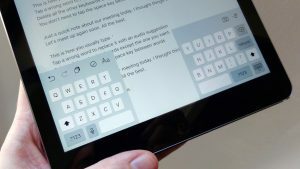 Read on for 8 awesome iPad tips, from the ability to split the keyboard to the multitasking “Split View” feature. Having a tough time typing on the iPad’s massive keyboard with your thumbs while holding the tablet in both hands? If so, try splitting the iPad’s keyboard in two. 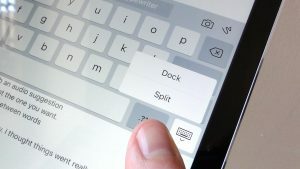 Typing on your iPad with your thumbs gets a lot easier once you split the keyboard. The trick: one at a time, put one fingertip on the left side of the keyboard, then another fingertip on the right side. Now, pull the two sides apart. When you do, the iPad’s keyboard will split neatly in two, making it far easier for your thumbs to reach every key. Or, here’s another way: tap and hold the keyboard key (the one in the bottom-right corner of the keypad), then slide your fingertip up to the Split button. Want to put the keypad back together? Simply push the two sides together again, or tap and hold the keyboard key and select Merge. Even with the iPad’s keyboard split in two, typing with your thumbs can be tricky when the keypad is sitting at the bottom of the screen. Here’s the thing, though: you can, if you wish, let the keyboard float in the center of the display. Tap and hold the keyboard button to “undock” the iPad’s keyboard from the bottom of the screen. Tap and hold the keyboard button in the bottom-right corner of the keypad, then select Undock. When you do, the keyboard will slide up to the middle of the screen. To move the keyboard back to the bottom of the screen, tap and hold the keyboard button again, then select Dock. Recently, I wrote a tip detailing how to bold, italicize or underline text in the body of an iOS Mail message by selecting the text and then tapping the BIU button—a handy trick, but on an iPhone, you need to tap a few times to reveal the button. Keep an eye out for handy shortcut buttons at the top of the iPad’s keyboard. On an iPad, the process is much easier thanks to the shortcuts sitting at the top of the keypad. When you’re using the iOS app, for example, you’ll find the BIU button sitting in plain sight, near the top-right corner of the keyboard, along with buttons that’ll let you add attachments, snap photos, and undo your most recent keystrokes. Switch to the Notes app, and you’ll see different shortcut buttons at the top of the keyboard: in this case, buttons that let you draw freehand, change fonts, and add checkmark boxes. Keep switching apps to discover more shortcut buttons along the top of the iPad keyboard. Want to put the iPad’s cursor precisely where you want? One way is to just tap the screen wherever you want to cursor to go, but there’s also another way. You can move the iPad’s cursor with more precision by swiping the keypad with two fingertips. 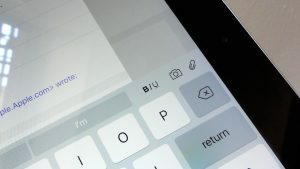 Hold two fingertips on the iPad’s keyboard until the letters on the keys disappear, then swipe your two fingertips around the keyboard. When you do, the cursor will move in the same pattern as your fingertips. Next, try this: tap and hold the keypad with two fingertips again, but pause for a few seconds until you see the text-selection handles appear near the cursor. Once that happens, move one fingertip to drag the text selection box around. 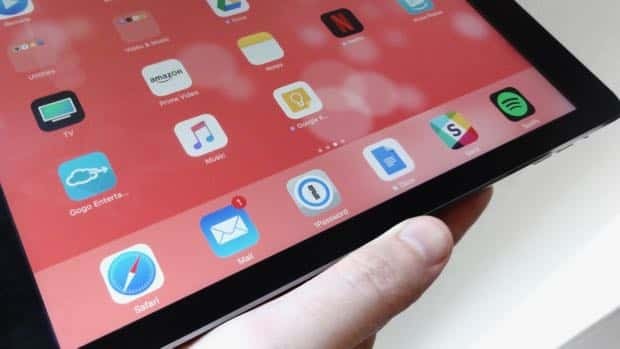 The iPad will be getting some fancy multitasking features thanks to iOS 11, including the ability to drag and drop text, images, files and more from one window to another. That said, you don’t have to wait until this fall to use two apps at once on your iPad. If you’re lucky enough to own a newer iPad, you can use two apps at once with the Split View feature. 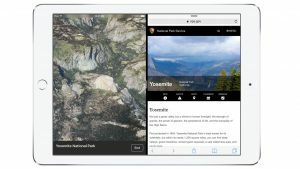 If you have a relatively new iPad (such as the iPad Pro, the fifth-generation iPad, the iPad Air 2, or the iPad Mini 4), you can put two apps on the same screen using a feature called Split View. Here’s how it works: within any app, swipe in from the right side of the screen. When you do, the previous app you were using will squeeze onto the screen, right next to the app you’re currently using. Just keep sliding the divider until you’ve sized the two windows just the way you like, or swipe down from the top of the right-side app to switch to a new app. When you’re ready to close Split View, drag the divider back to the right side of the screen. Unfortunately, Split View won’t work on older iPad models like the original iPad, the iPad 2 or 3, the first iPad Air, or the first two iPad Mini models. Got a slightly older iPad? You can still peek at one app while using another with Slide Over. That said, if you have at least an iPad Air or the iPad Mini 2, you can still do a little multitasking courtesy of iOS’s Slide Over feature. Again, swipe in from the right side of the screen to reveal the last app you were using, then swipe down from the top of the screen to switch apps. Unlike the more robust Split View feature, the Slide Over window will only fill about a third of the screen, and it only lets you use the app that’s in the Slide Over window. As soon as you tap the original app you were using (which remains dimmed on the left side screen), the Slide Over window will disappear. Once iOS 11 arrives this fall, you’ll be able to summon the iPad’s app dock just about anytime you want, even when you’re working in an app. Pretty neat, but even while we wait for the iOS 11 rollout, the current iPad app dock has a nifty trick up its sleeves. You can fit as many as six apps into the iPad’s app dock. As it turns out, the app dock on the iPad can hold up to six apps, not just four (as on the iPhone). Just drag more apps into the dock, and the others will scoot out of the way. Also, don’t forget: you can add web shortcuts and app folders to the dock, not just app icons. On the iPad, you don’t have to double-tap the Home button each time you want to switch apps. Instead, you can use a four-finger (or five-finger, if you like) gesture to open the App Switcher, the screen that shows all your open apps. 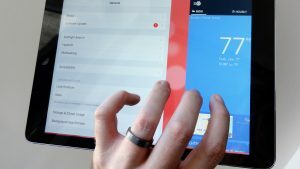 There’s also another four-finger gesture that’ll let you switch directly from one app to another. Want to switch directly from one app to another? Try swiping the screen with four fingertips. First, try this: within any app, swipe up with four fingertips at once. When you do, you’ll arrive at the App Switcher screen, just as if you’d double-tapped the Home button. Here’s another trick: again, within an app, swipe right with four fingertips; doing so will switch you directly to the last app you were using. You can also swipe left to switch to a more recent app. Last trick: within in app, try pinching the screen with four (or five) fingertips; when you do, you’ll return to the home screen.